In his Flags By Color project, Shahee Ilyas uses a list of countries generated by The World Factbook along with the world’s national flag images fetched from Wikipedia to produce a series of charts that break down the color proportions for each flag. 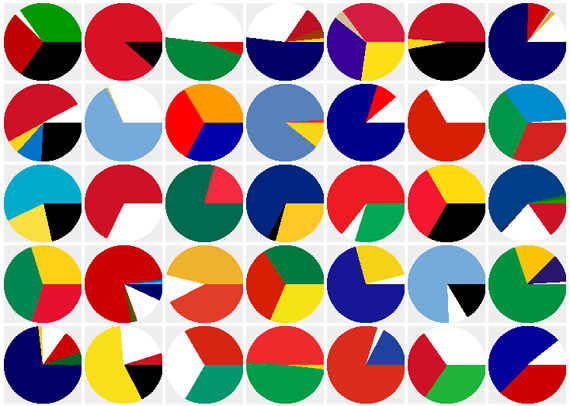 These proportions of color are then displayed in a single chart revealing the color proportions of all of the flags of the world combined. This project was generated entirely with script.